GRAND RAPIDS, Mich. – For families on the go or anyone short on time and looking for quality and convenience, Fast Lane is now available at five VG’s locations and the Williamston D&W Fresh Market – joining 32 Family Fare Supermarkets, Forest Hills Foods and D&W Fresh Market stores to offer Fast Lane, the SpartanNash click-and-collect program that provides a seamless online grocery shopping experience. 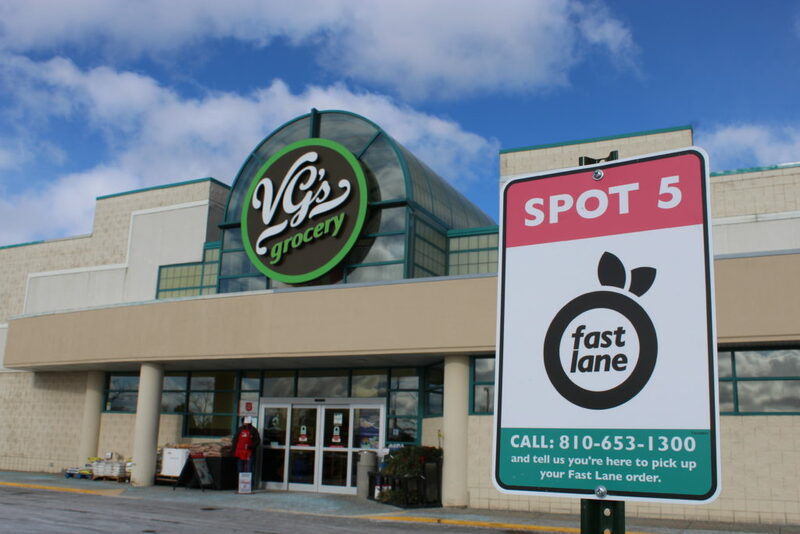 Store guests at VG’s stores in Fenton, North Fenton, Davison, Clio and Howell can now join the Fast Lane, allowing them to easily order their groceries online at shopthefastlane.com and pick them up curbside. The VG’s stores are located at 18005 Silver Parkway in Fenton; 1390 N. Leroy in North Fenton; 8503 Davison in Davison; 710 S. Mill in Clio and 2400 W. Grand River in Howell. The Fast Lane is also expanding to the D&W Fresh Market in Williamston, located at 151 W. Grand River. To celebrate the launch of the click-and-collect experience in Eastern Michigan, customers can have their first three Fast Lane orders shopped for free using the code “FASTLANE”.